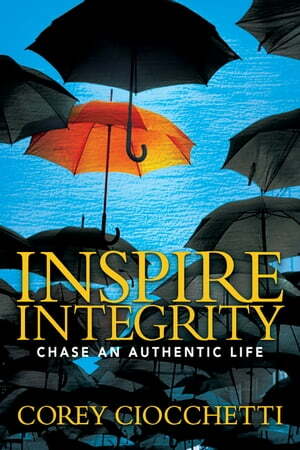 Collins Booksellers - Inspire Integrity by Corey A. Ciocchetti, 9781683504405. Buy this book online. racing dogs who figure out that the rabbits are fake will never race again. They just sit there. seeks to help solve why humans, who can reason and philosophize, seem to chase everything things that are fake. roadmap to authentic success as opposed to a quick fix. The book does not promise to solve any pain, but instead seeks to inspire readers to be better people. It encourages readers to make lasting changes to their lives and then to inspire others to do the same.